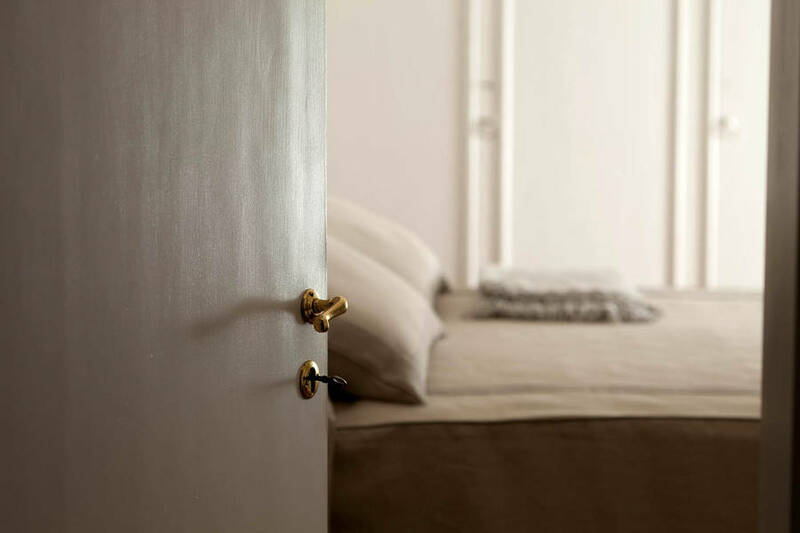 Savor the silence. 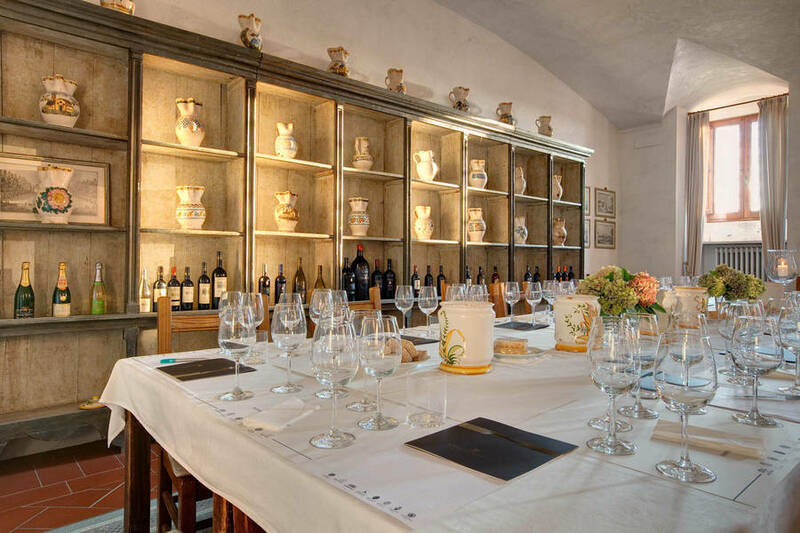 You're in Chianti. 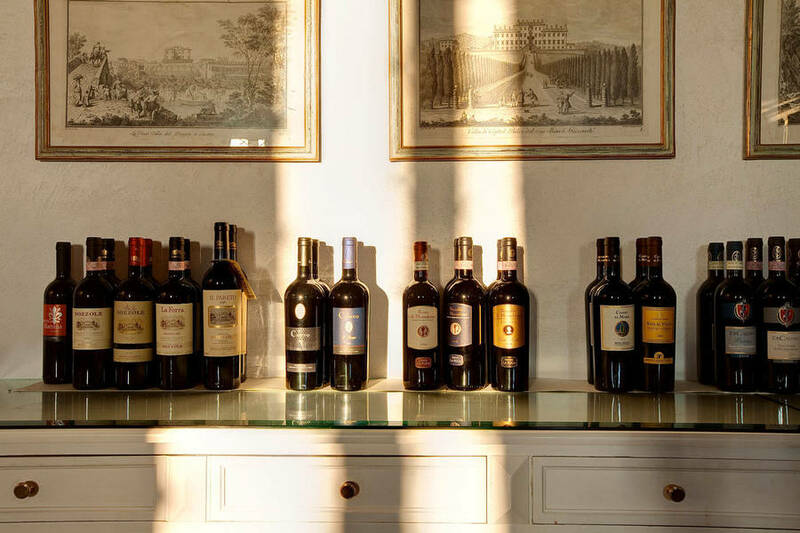 The name "Tenuta Nozzole" will not be new to those who like their wine to be red, robust, and, preferably, Tuscan. 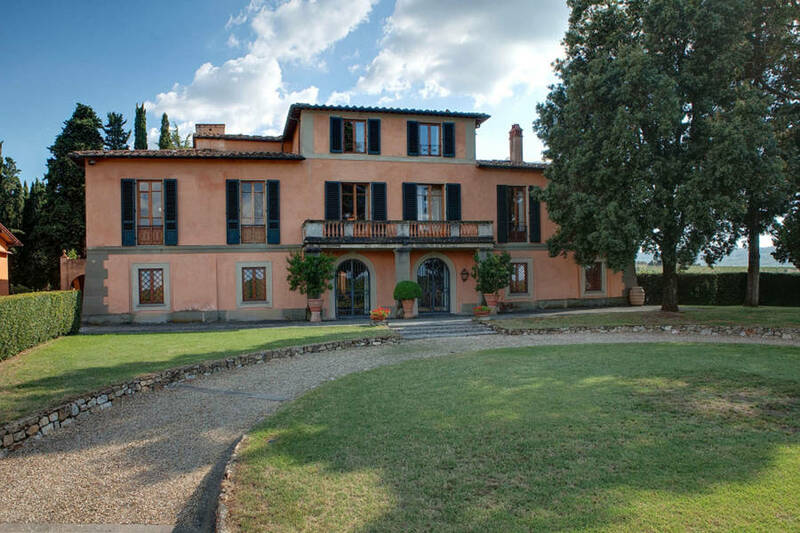 Villa Nozzole is located at the heart of the great wine-making estate, surrounded by a quintessentially Tuscan landscape of gently undulating hills, and a sea of olive trees and grapevines. 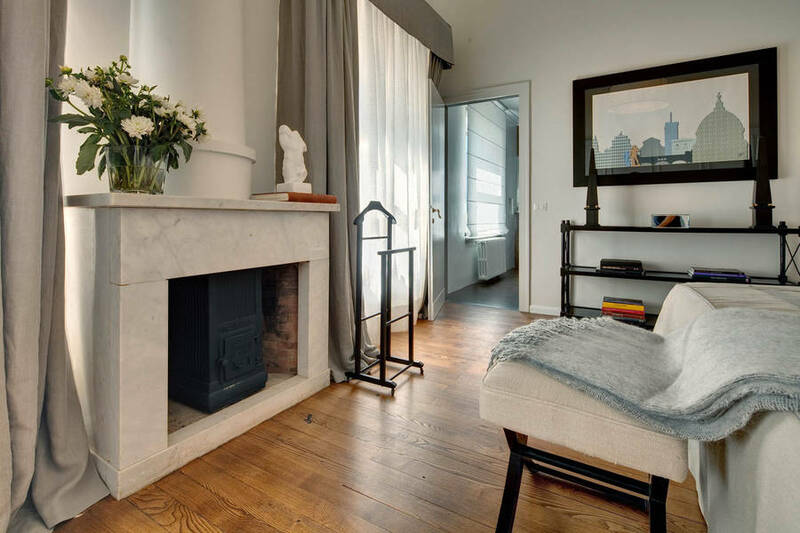 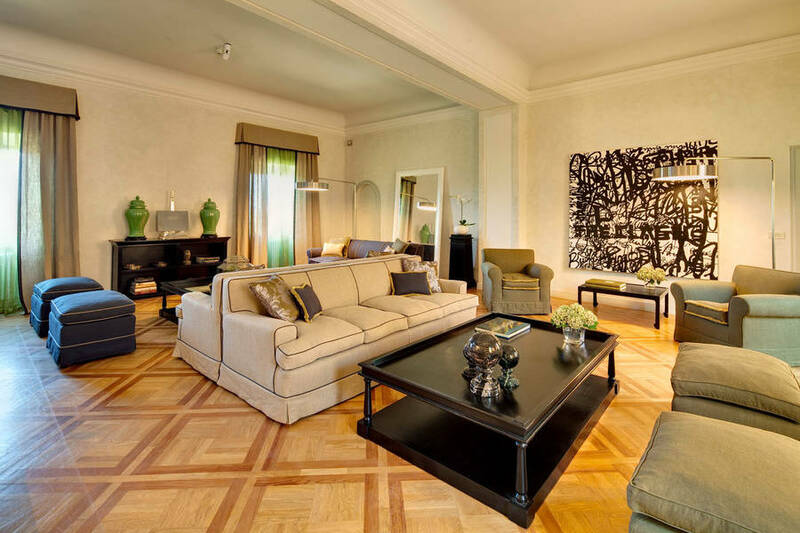 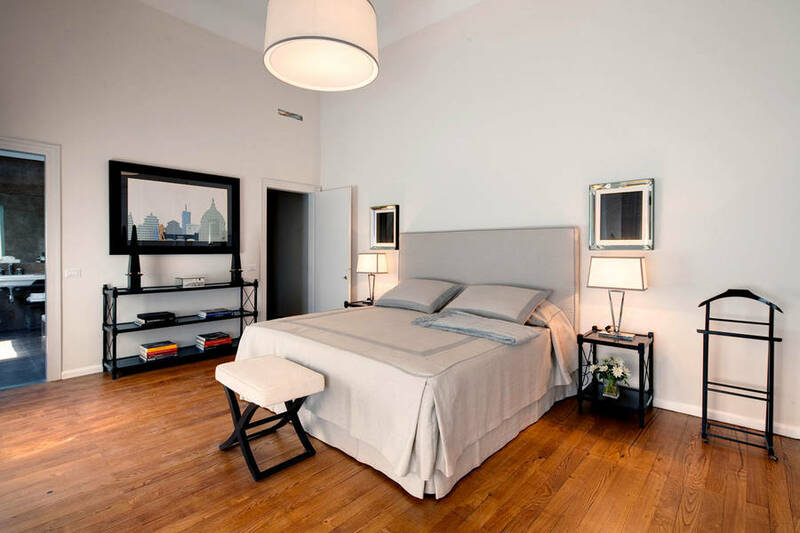 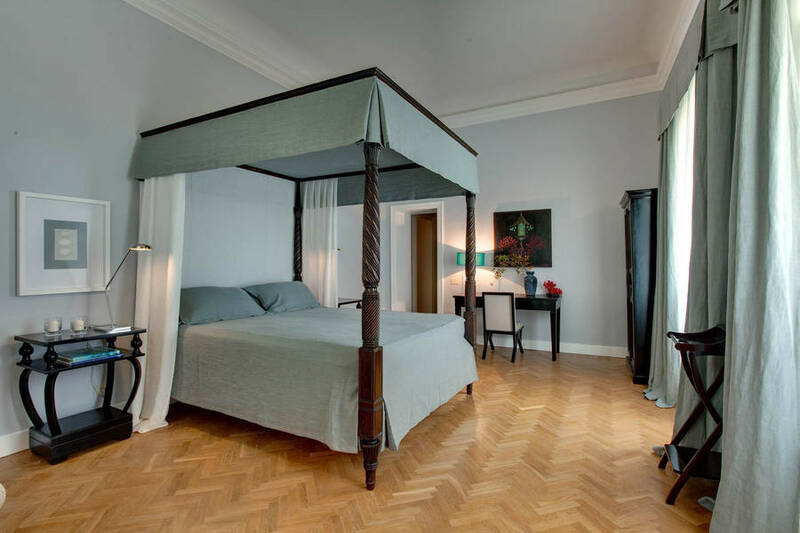 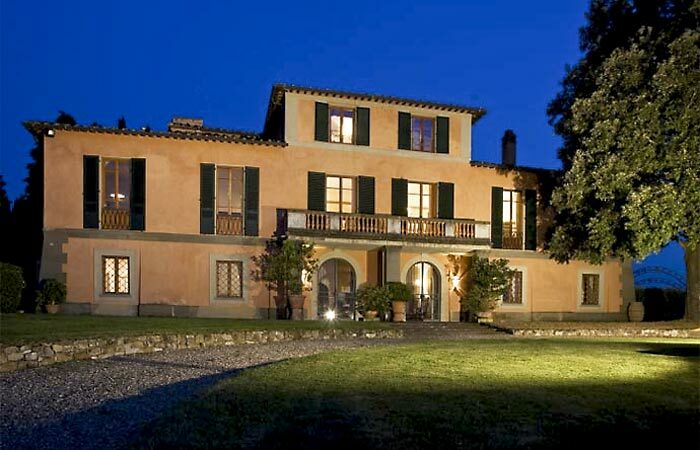 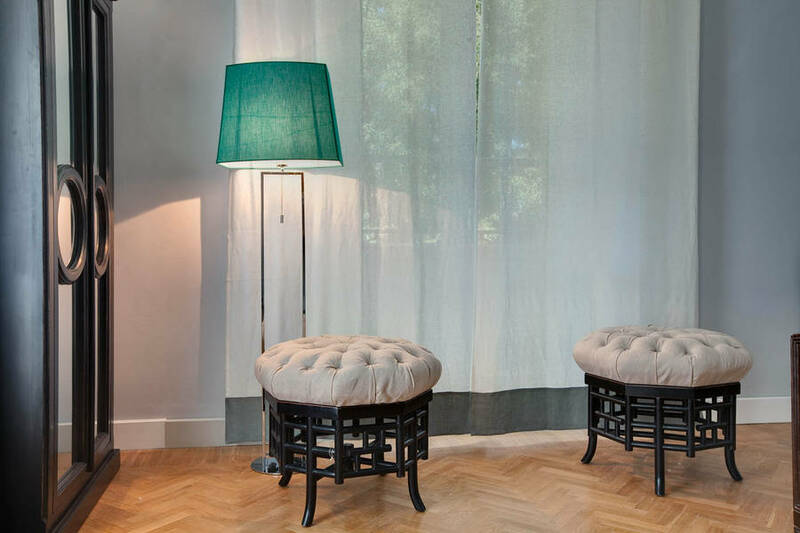 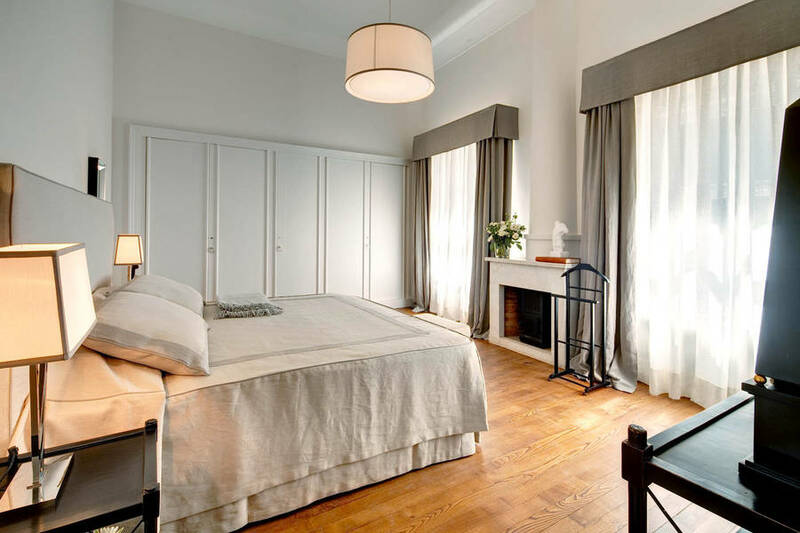 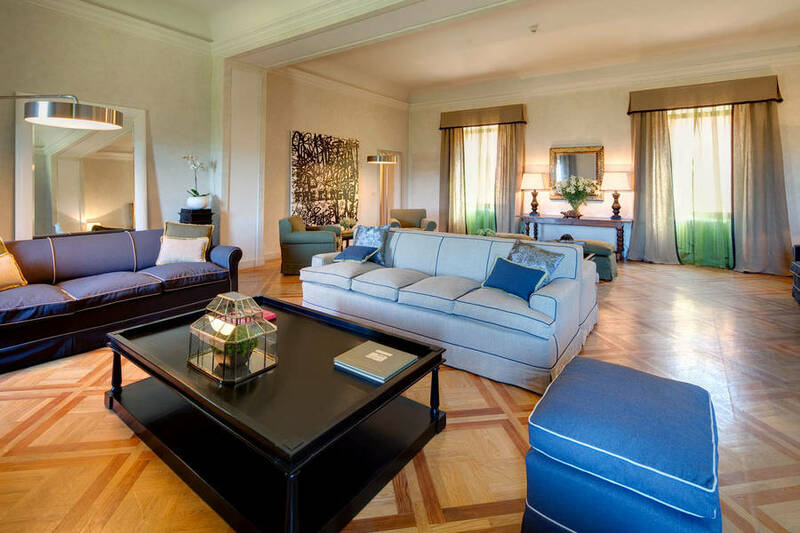 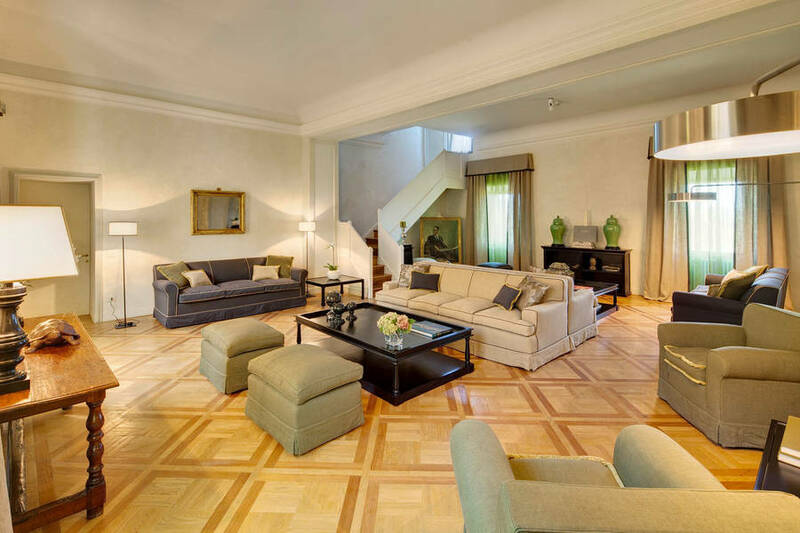 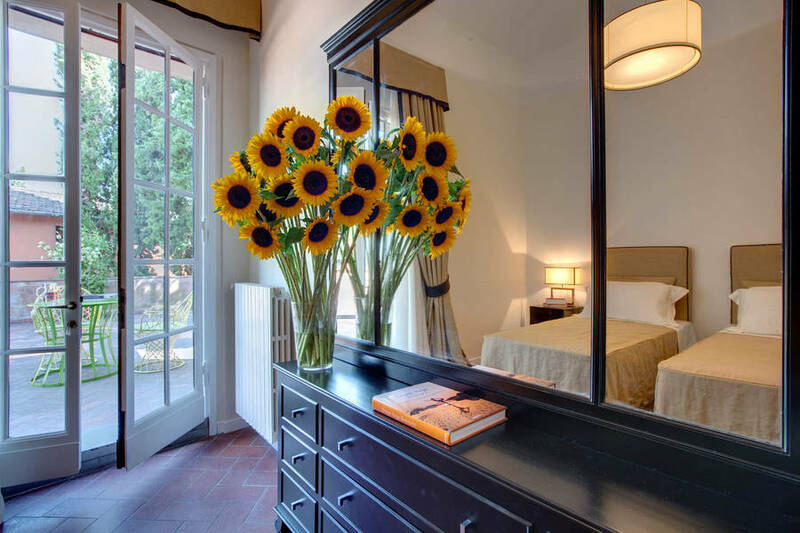 Villa Nozzole has 9 bedrooms, all completely renovated in 2011. 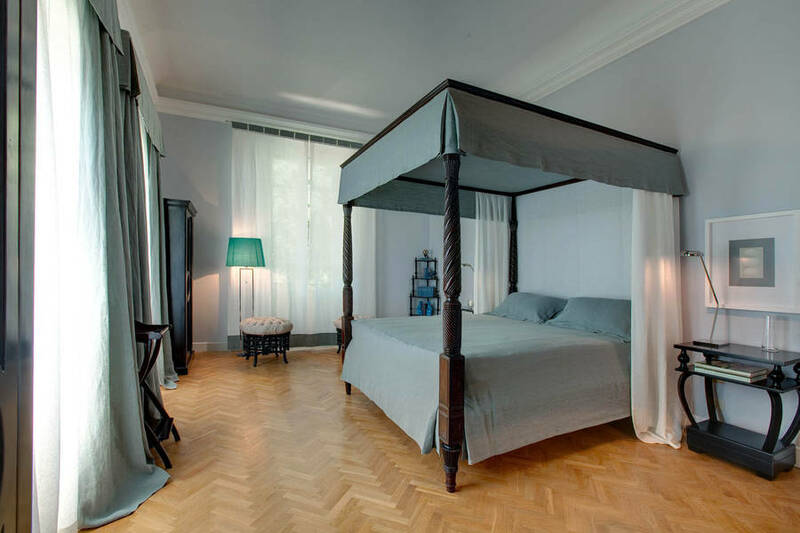 An antique four poster bed takes pride of place in the otherwise cool and contemporary master bedroom. 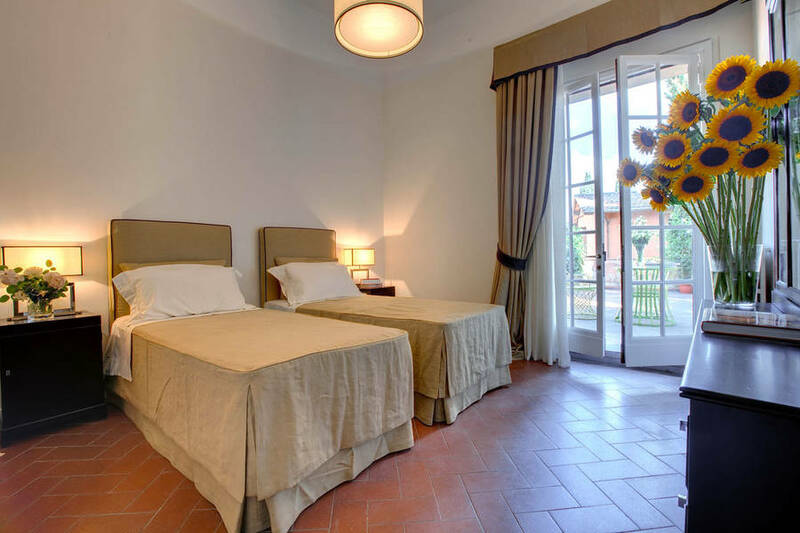 The other rooms have either a double or twin beds. 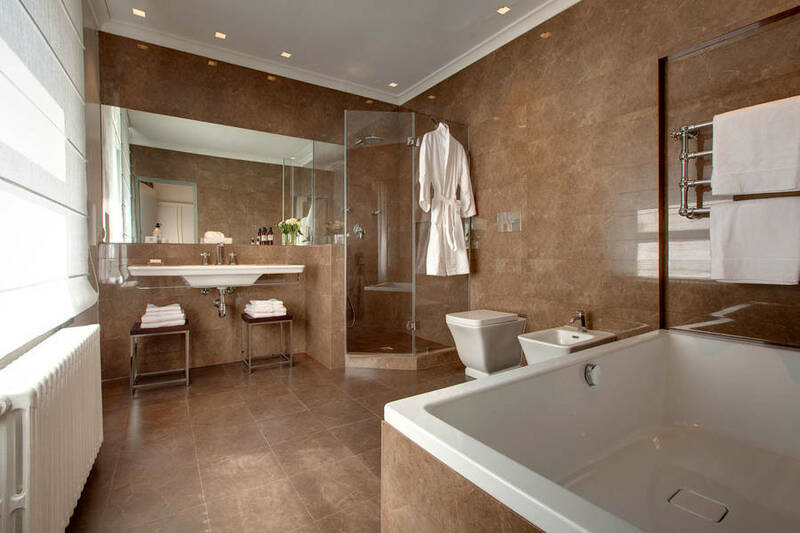 All rooms have their own bathroom with tub or shower, Wi-Fi connection and air conditioning. 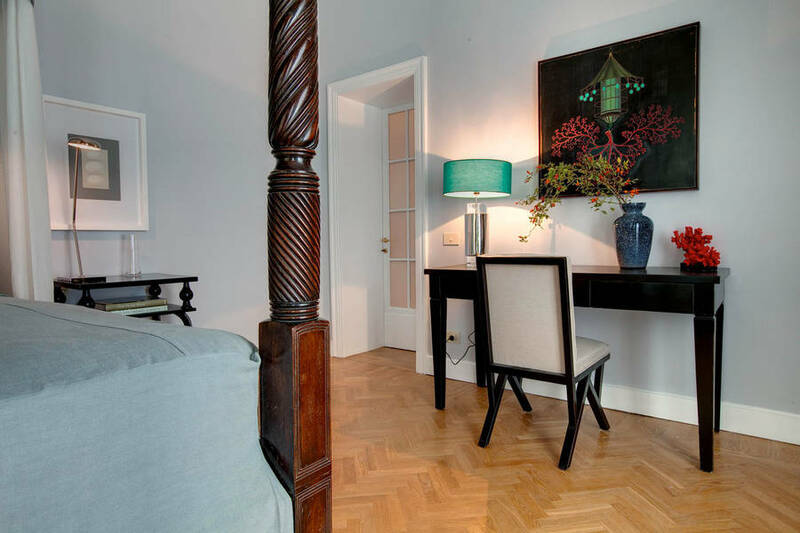 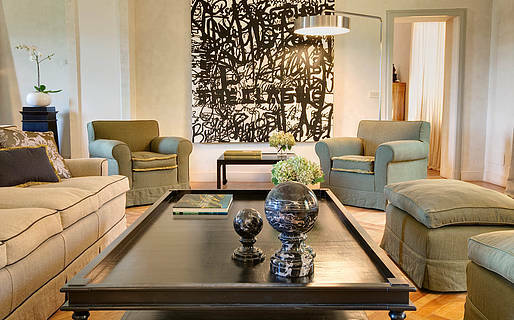 Bedrooms and communal areas are decorated with a selection of family heirlooms and unique artworks. 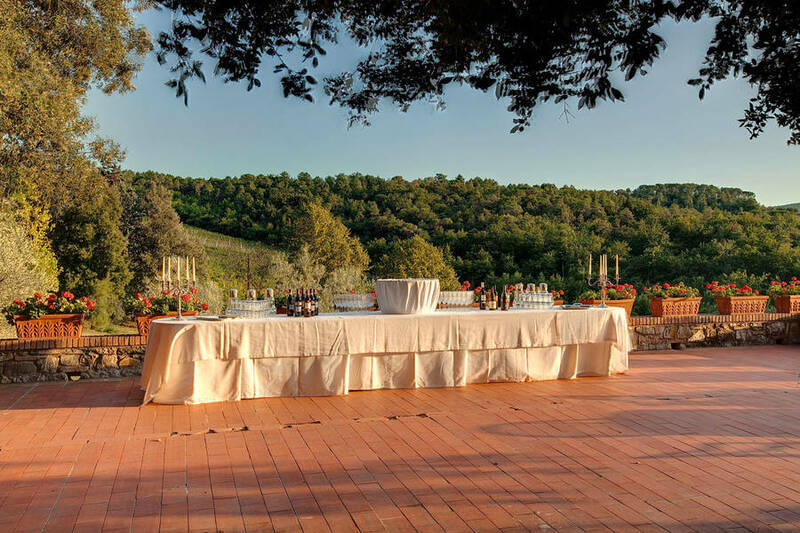 The villa has three dining rooms (the largest of which has a 30 seat dining table), two fully equipped kitchens, and two sitting rooms with pool table, television and multimedia system. 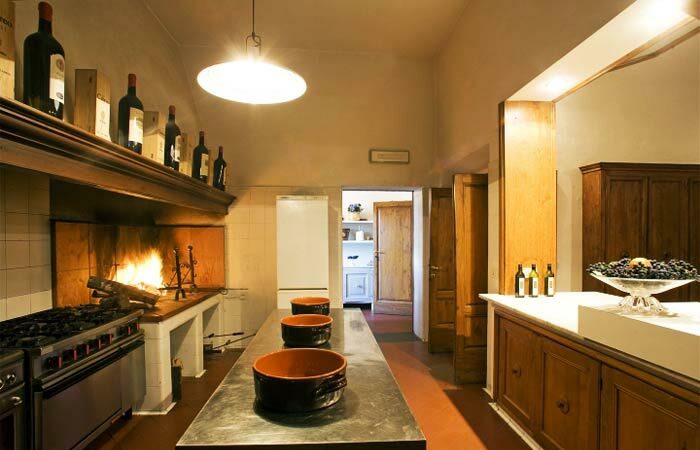 Villa Nozzole is set in a large garden which gradually merges into the vine and olive carpeted hills of Chianti. 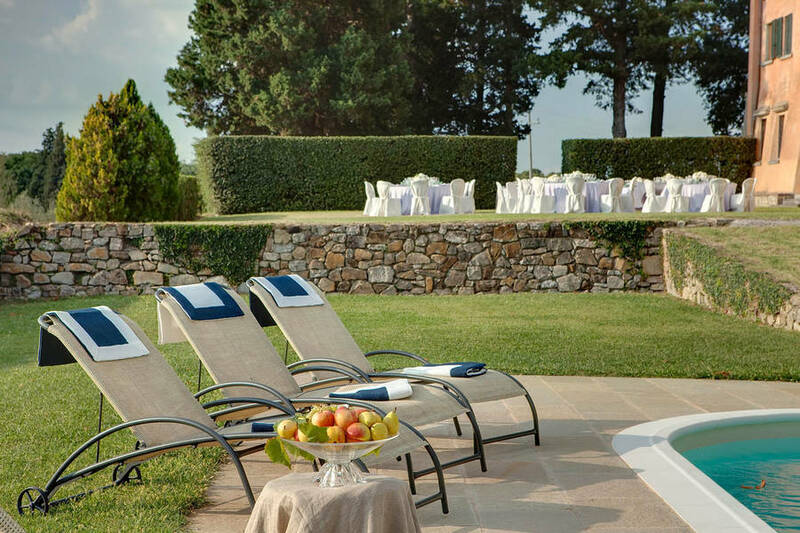 The ideal spot in which to relax with a good book or simply snooze as you top up your tan, the gorgeous southwesterly facing pool catches the sun all day long. 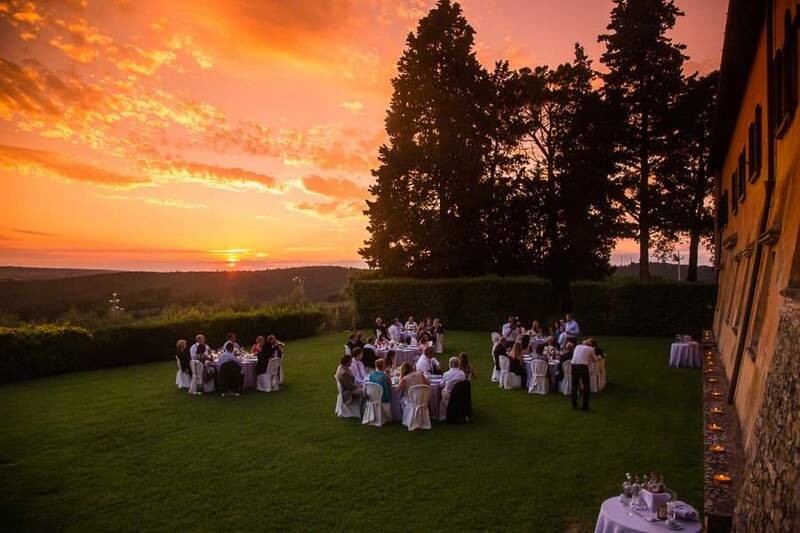 The hanging garden is even more enchanting in the evening, as the sun sets behind the hills. 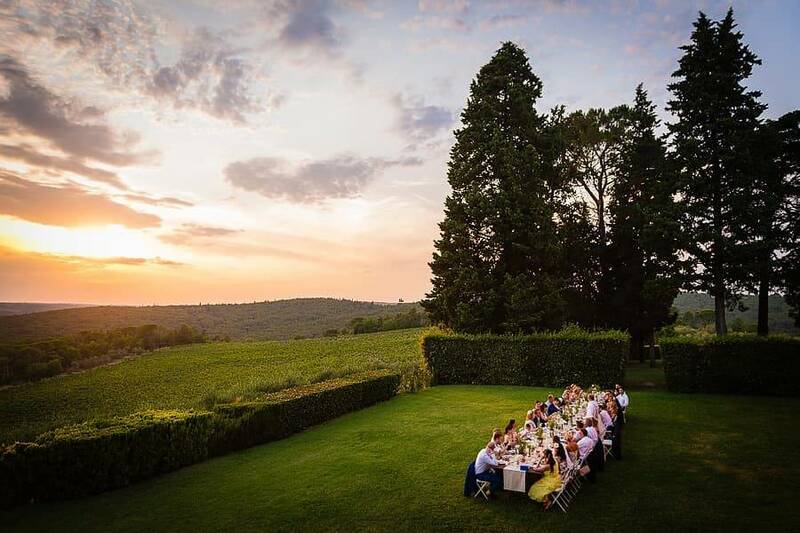 Time for a toast with one of Tenuta Nozzole's SuperTuscans! 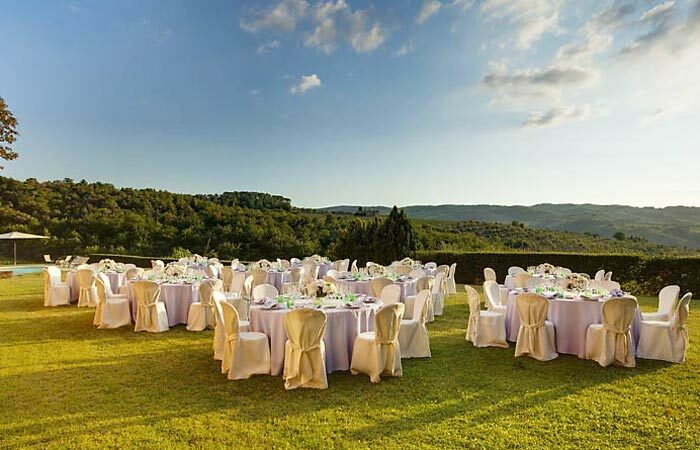 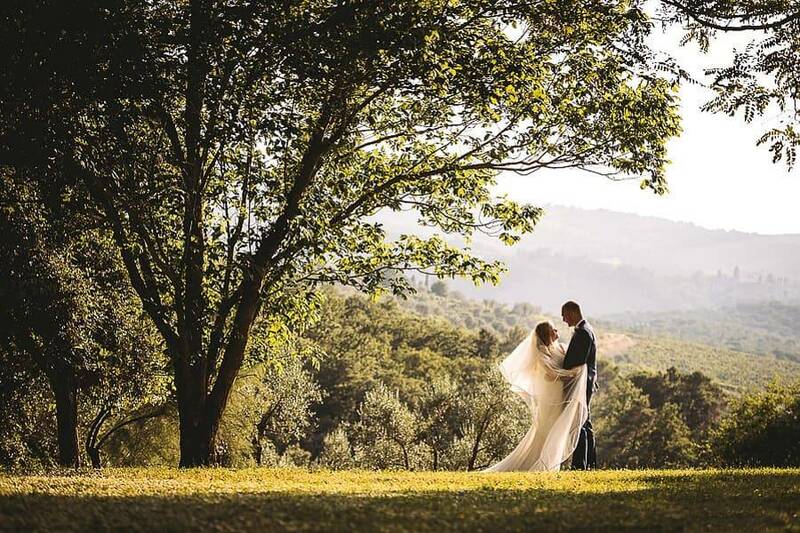 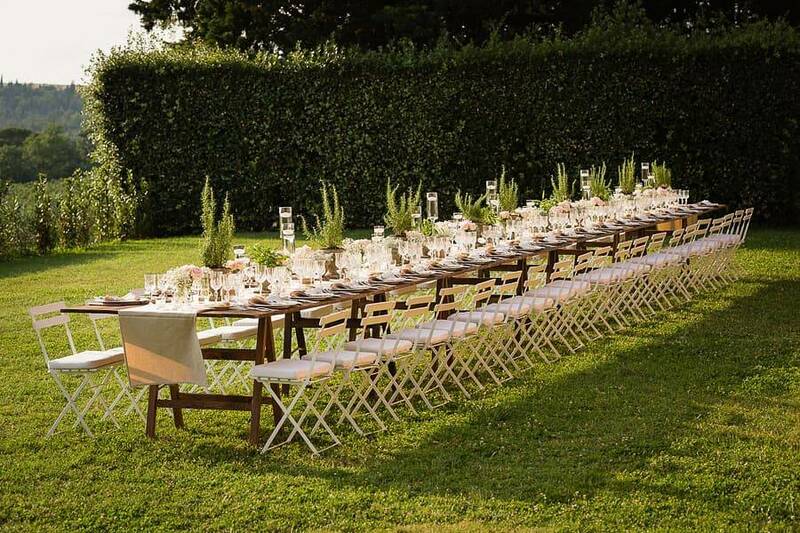 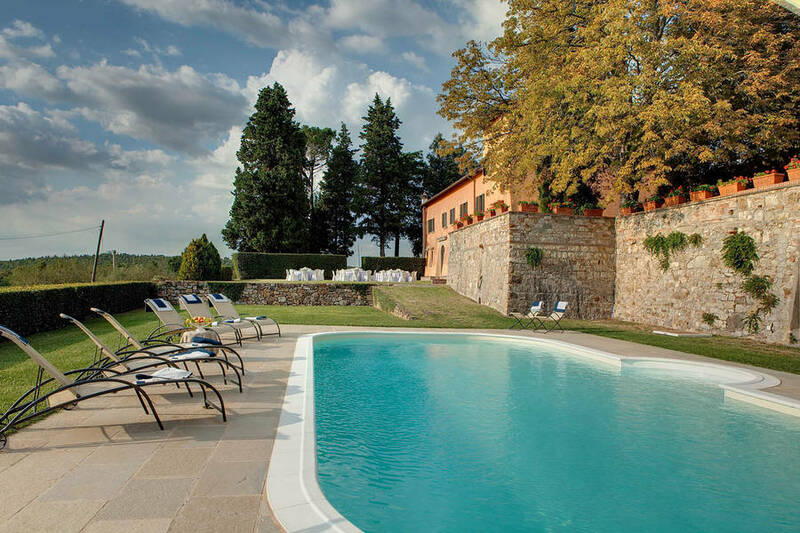 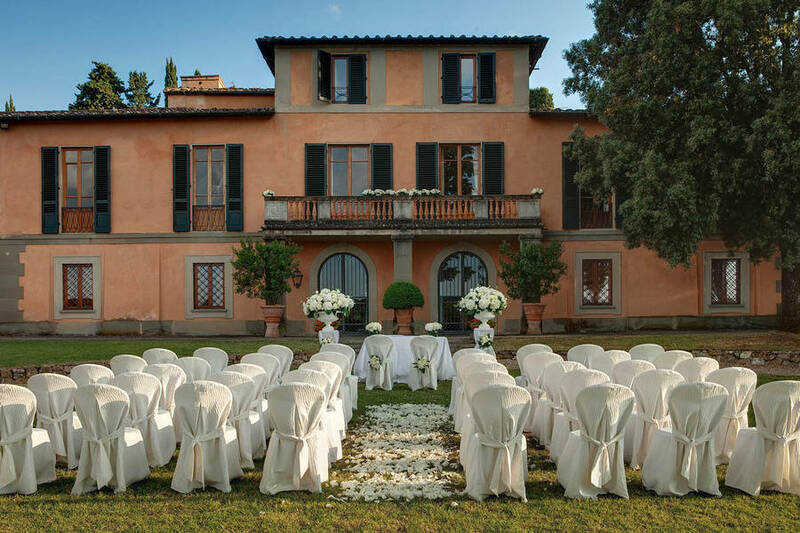 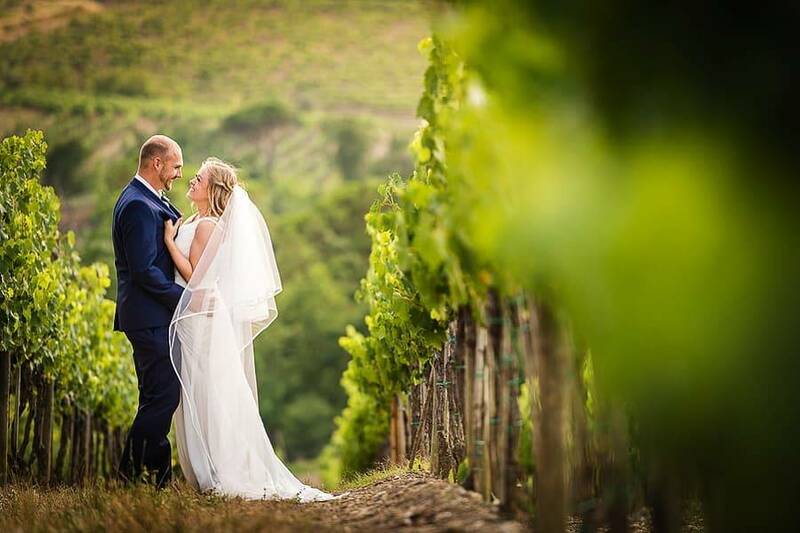 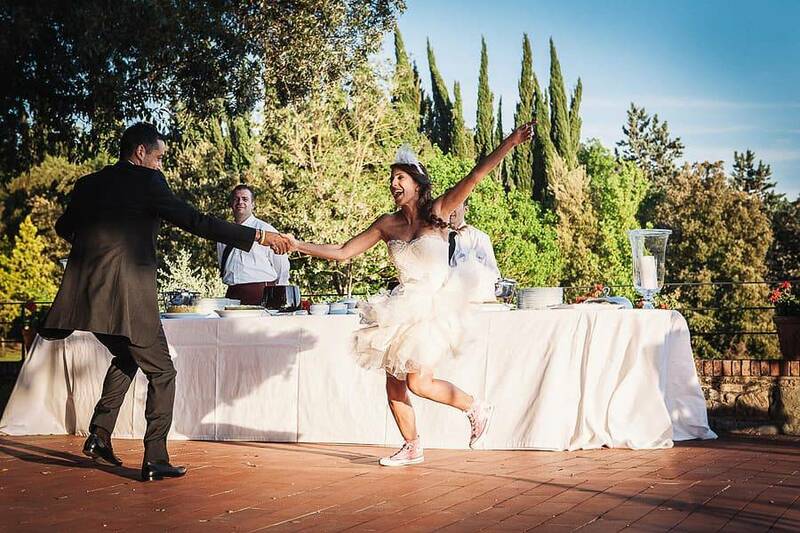 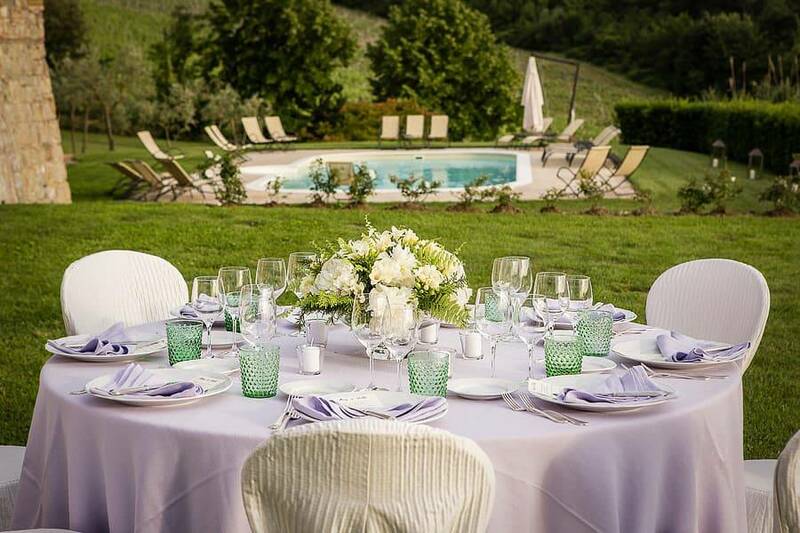 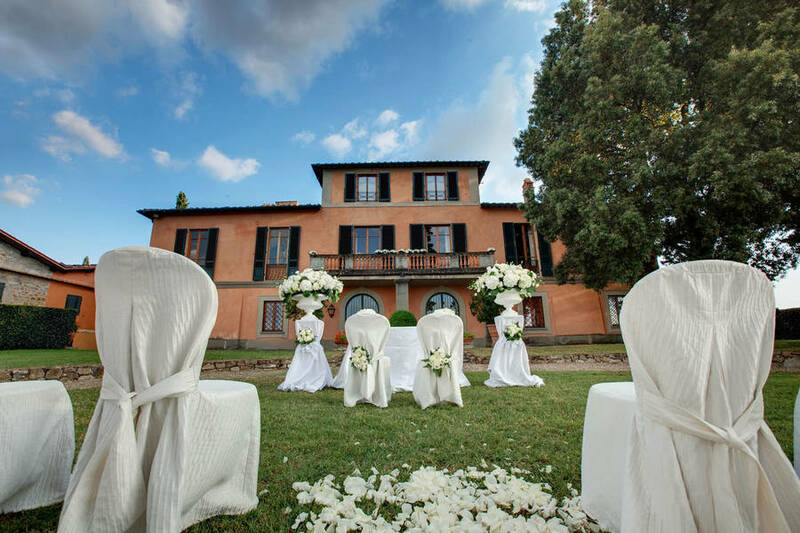 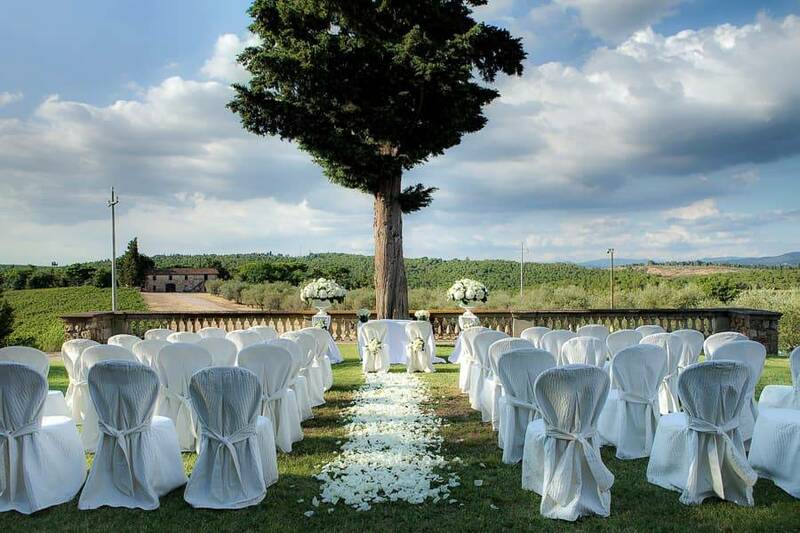 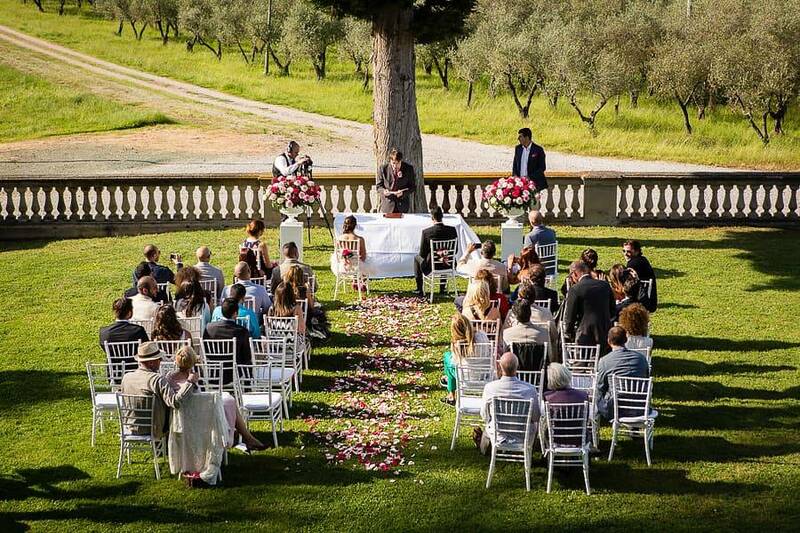 Villa Nozzole is the ideal location for a wedding, country-chic style. 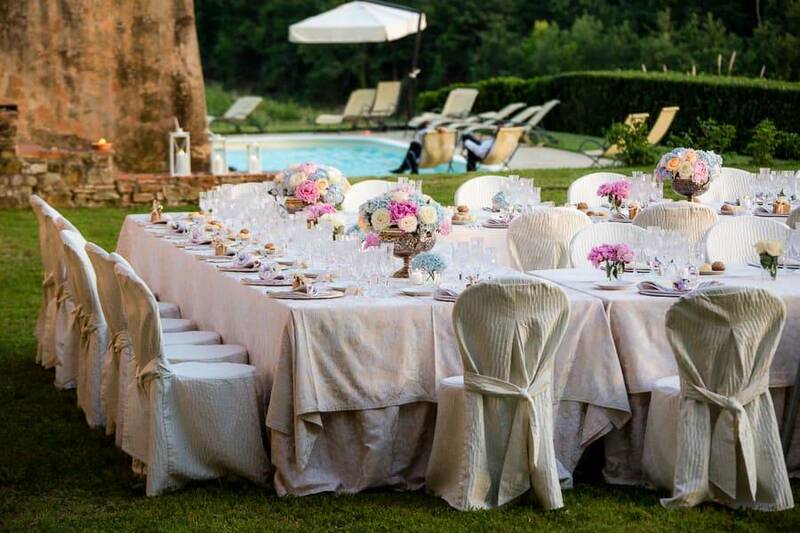 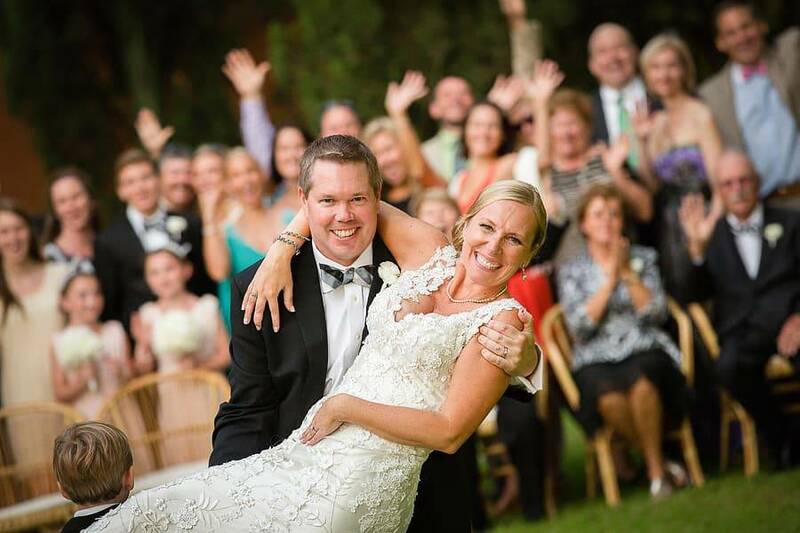 You can celebrate the most important day of your life in the garden or in one of the dining rooms in the villa. 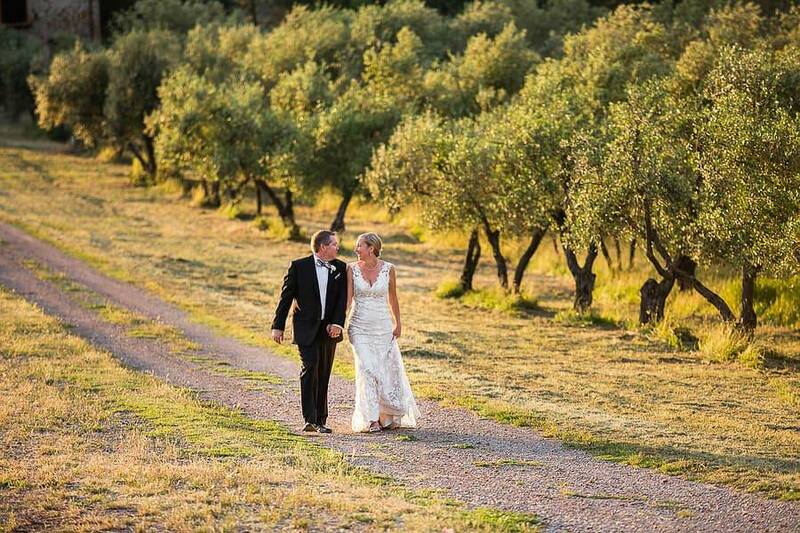 For those looking for a really special venue in which to host an exclusive event, there's the granary: recently restored and converted into a stunning event hall. 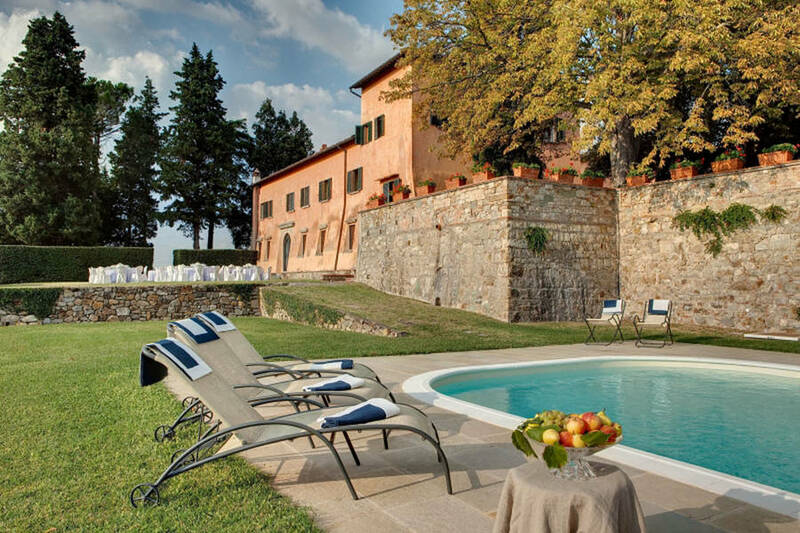 In the last 30 days 31 people have visited this page. 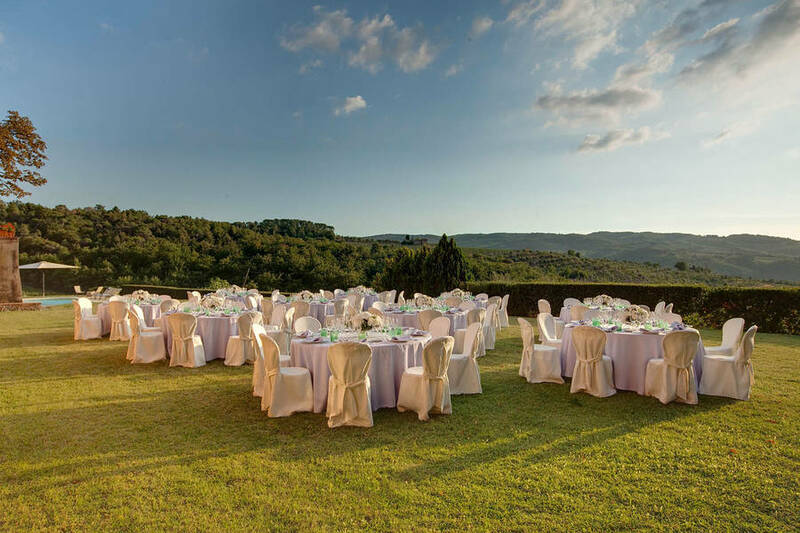 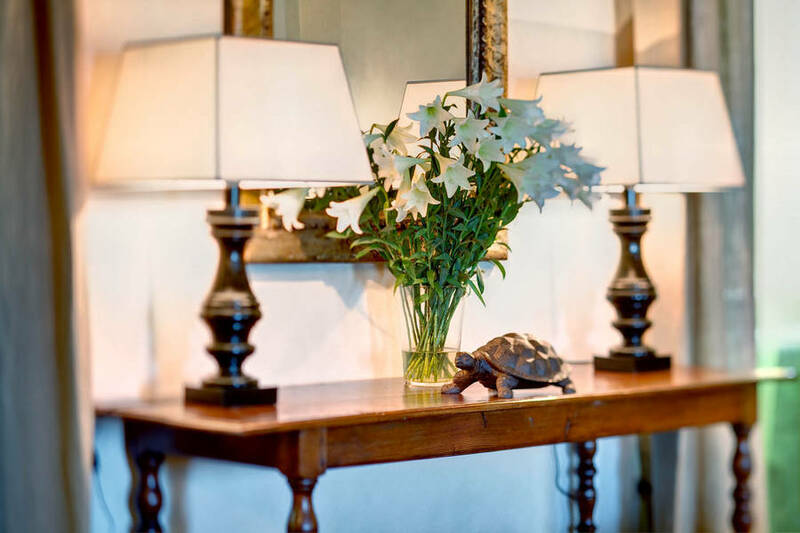 In Passo dei Pecorai, near Greve in Chianti, Villa Nozzole lies right in the very heart of Chianti and within easy reach of all of Tuscany's most famous wineries. 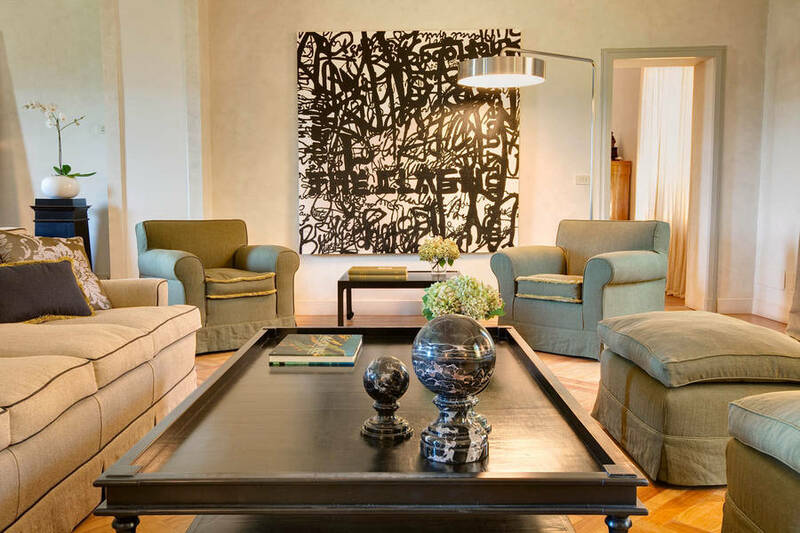 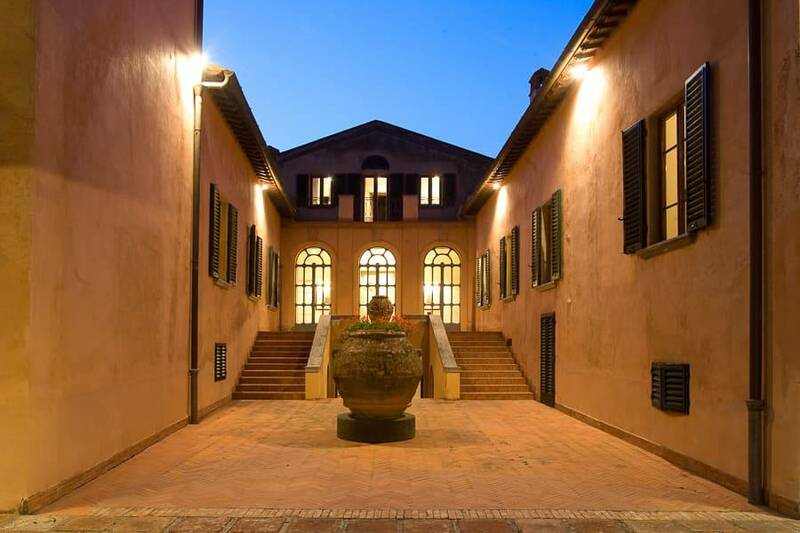 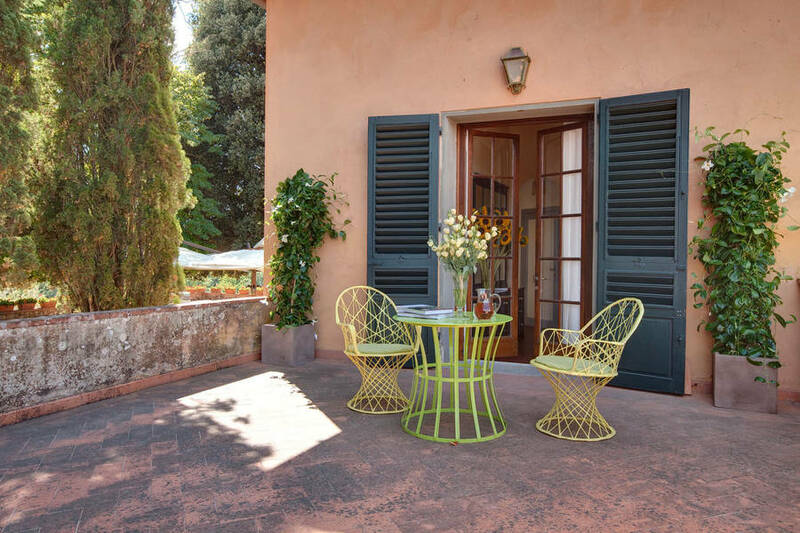 The perfect choice for wine aficionados, Villa Nozzole is a great base for art fans too: just 20 minutes from Florence and 40 minutes from Siena.